and take steps towards an active, healthy lifestyle! 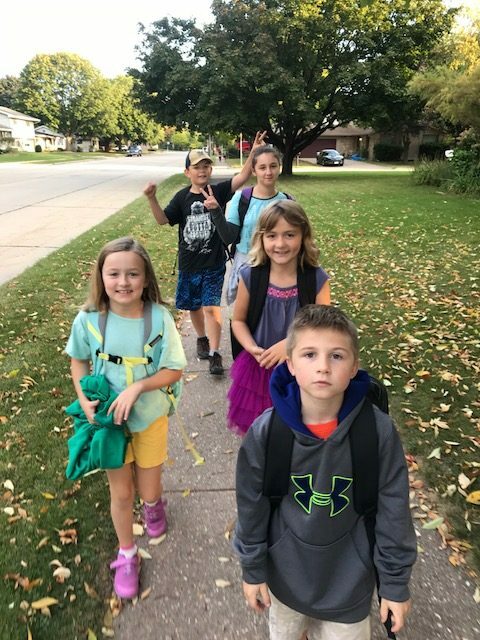 Each Monday and Wednesday during the spring and fall, Dr. Eric will lead a “walking school bus” to school and we encourage you to join the fun! The first “bus stop” is at 7:15 a.m. at Hickory and Murdock. 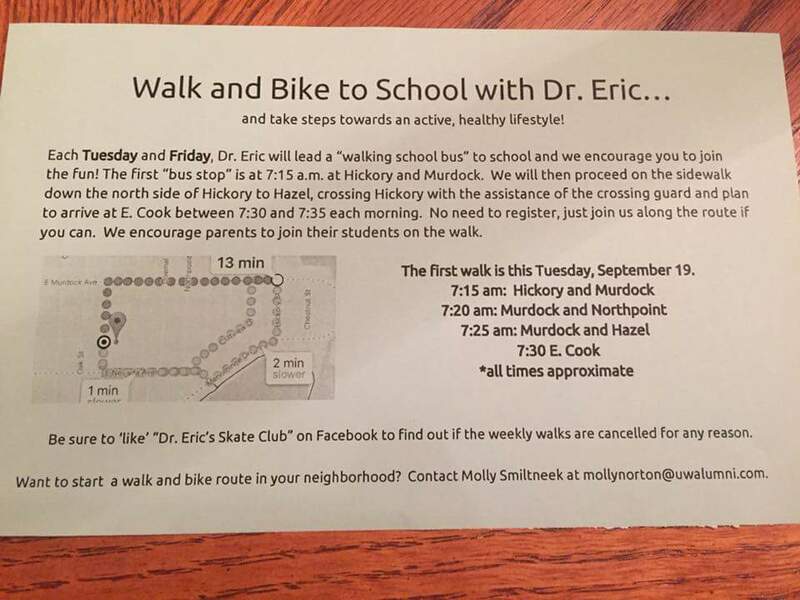 We will then proceed on the sidewalk down the north side of Hickory to Hazel, crossing Hickory with the assistance of the crossing guard and plan to arrive at E. Cook between 7:30 and 7:35 each morning. No need to register, just join us along the route if you can. 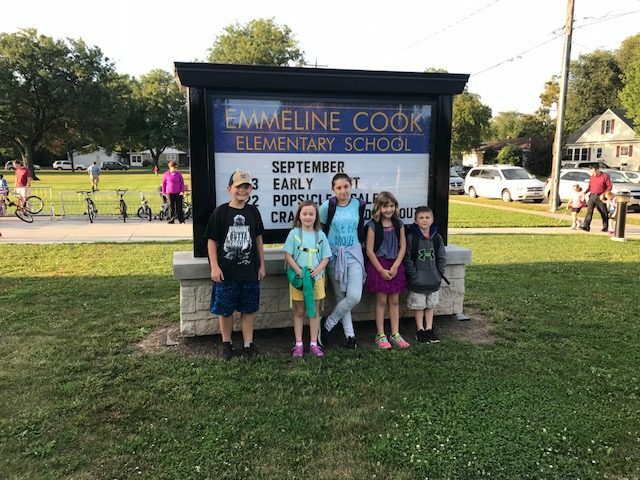 We encourage parents to join their students on the walk. Every Monday and Wednesday at 7:15 AM in April, May, September, and October.